GRANT, ALEXANDER, army officer, businessman, office holder, and politician; b. 20 May 1734 in Glenmoriston, Scotland, son of Patrick Grant and Isobel Grant; m. 30 Sept. 1774 Thérèse Barthe, and they had 11 daughters and 1 son; d. 8 May 1813 in Castle Grant, his residence at Grosse Point (Grosse Point Farms), Mich.
Alexander Grant claimed to have been “in the very early part of his Life bread to the sea.” Before accepting an ensigncy in the newly raised 77th Foot (Montgomery’s Highlanders) on 4 Jan. 1757 he seems to have entered the Royal Navy in 1755 and served as a midshipman. His regiment was in North America in 1758 and the following year saw service on Lake Champlain with Major-General Jeffery Amherst*’s army. Captain Joshua Loring*, Amherst’s naval assistant, had been charged with the construction of a flotilla to wrest naval control of the lake from the French, and when on 11 Oct. 1759 the Boscawen, a 16-gun sloop, was ready for action, Grant was given command. In the only engagement of any consequence, Loring forced Jean d’Olabaratz to abandon his ships. Grant remained on the lake for the duration of the Seven Years’ War. In 1760 he assumed command of the vessels and naval station at Fort Ticonderoga (N.Y.), where he performed his duties to Amherst’s satisfaction. He went on half pay in 1763 but remained connected with the naval establishment. When Loring retired (possibly the same year), Grant, according to his own account, succeeded him; exactly what position the two men held is not clear. Initially Grant’s headquarters were located at the dockyard on Navy Island in the Niagara River. At some point no later than 1771, the naval department was moved to Detroit (Mich.), where Grant had had some connection as early as September 1764. He spent winters in New York City until 1774, when he took up permanent residence in Detroit, probably as a result of his marriage that year to Thérèse Barthe. His duties as naval superintendent included management of the dockyards, construction and repair of vessels, deployment of ships, purchase of materials, and transportation of stores, including private merchandise. Because private shipping was almost non-existent, commercial goods were allowed as cargo in the crown’s ships. The power to allocate this cargo space put Grant at the hub of the commercial network between Detroit and New York. Recognizing a golden opportunity, he began to build his own vessels, first at Navy Island, then at Detroit, for use on the lakes. In 1767 John Blackburn, the English merchant who had won the Treasury contract to man, victual, and repair the crown’s vessels on the lakes, and his New York factor, Henry White, signed an agreement with Grant making him their local agent. After 1768 he consolidated his position by monopolizing all shipping on the lakes. Naturally enough, favouritism shown by Grant in apportioning limited space met with antagonism. In 1769 James Sterling* and the Schenectady firm of Phyn, Ellice and Company built the sloop Enterprise at Detroit to transport their goods over Lake Erie; several months later they sold the ship to Grant. The following year they mounted a more effective challenge to Grant’s empire by building the 45-ton sloop Angelica. Then in 1772 they erected a trans-shipment depot at Fort Erie (Ont.). The timing was propitious. During the summer of 1771 Grant suffered a financial setback, losing his new sloop Beaver and a second ship. One merchant reported that the losses “will Discourage the traders from Imploying his Vessell.” The Angelica reaped the benefits of Grant’s misfortune but he was determined to regain his hegemony. In return for an attractive package of rebates and preferential rates on Grant’s ships, Detroit merchants agreed not to patronize his rivals. While the main battle raged for control of the lakes, a skirmish of a different sort broke out between Grant and Phyn, Ellice. This fight was occasioned by the breakdown of negotiations over freight charges on dry goods. Grant immediately ordered 100 hogsheads of rum to sell in competition with the Schenectady merchants in their northwest markets. So determined was he to undercut their retail business that he was willing to absorb a significant loss. Moreover, he took further steps to interrupt the firm’s cash flow by stalling movement of their goods over the Niagara portage until the close of the navigation season for winter. Rifts soon appeared among his competitors; Sterling, the first to capitulate, sold his shares in the Angelica to Grant. By December 1773 Phyn, Ellice also gave in and sold him the remaining shares. Once again he was master of the lakes. Changes resulting from the outbreak of the American revolution solidified Grant’s official position and initially strengthened his commercial empire. The restrictions on private shipping inaugurated in 1776 were followed by a complete ban the next year. Sir Guy Carleton instructed the naval department to continue the practice of assisting the merchants when cargo space was available. But the war put a further burden on the already strained capacity of the naval establishment to handle the needs both of the military and the merchants. Out of necessity the crown turned to Grant. As a result, by 25 Aug. 1775 three of Grant’s own vessels, the schooner Hope, the sloop Angelica, and the schooner Faith, were employed in the king’s service on Lake Erie at a rent of £8 per month. By 1777 the Caldwell was being used on Lake Ontario at £12 monthly. That same year Grant received the naval command of lakes Ontario, Erie, Huron, and Michigan. In 1778 the naval department was divided into three separate commands, with Grant appointed to lakes Erie, Huron, and Michigan. The complete dependence of merchants on Grant for shipping was a major source of frustration. In 1778 John Askin had to beg Grant’s favour to make provision for his goods. On 5 Jan. 1780 the Detroit merchants petitioned Governor Haldimand regarding the losses and delays suffered from the prohibition of private shipping. 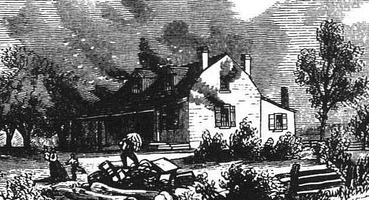 Several months later Charles Grant, a Quebec merchant, noted in a report to the governor on the fur trade that, in connection with trade carried over lakes Ontario and Erie, “improper preferences have been given in transporting goods to Niagara and Detroit, by which means it is represented that the Trade of these countries has fallen into a few hands, to the great detriment of many honest men. . . .” The same year Grant sold “his Vessels on the Lakes” to the government; however, as late as 1784 there was still an amount of £893 sterling outstanding on the transaction. The military monopoly of shipping was broken in that year when the North West Company was allowed to build a vessel at Detroit; in 1787 private vessels were allowed on Lake Ontario and the following year the Upper Lakes were opened. Expenditures by the Provincial Marine at Detroit were considerable. By the end of the revolutionary war Grant commanded an establishment of 77 naval personnel and 11 civilians. Substantial sums were expended on naval stores and victuals. In August 1778 Haldimand issued rules for drawing bills of expenses and furnishing vouchers. The following year, complaining that Grant’s vouchers seemed “so irregular,” he ordered an inquiry into his accounts because the “enormous expenses . . . oblige me to establish order there.” That May he wrote John Schank*, the naval commander on Lake Ontario, that Grant could retain his command only if he behaved. For his part, on two occasions Grant called for an investigation into his general accounts, but Haldimand refused. Grant’s income both from his official positions and from commerce was altered significantly during the war. He had lost his half pay in 1776 and suffered a reduction in salary after the war. He had, of course, profited by the rental and subsequent sale of his ships, but the sale also seems to have brought his participation in private shipping to an end. Moreover, he had lost 12,000 acres of land in New York which he valued at £6,000, New York currency. Thus he petitioned in 1784 for a “permanent subsistence . . . adequate to his long service” and sought confirmation of a land grant given him by the Indians. Grant soon rose to a position of civil pre-eminence. His first appointment was justice of the peace on 3 Jan. 1786 and he was reappointed continuously until his death. When in 1788 western Quebec was divided into administrative districts, he was named to the land board of the Hesse District. 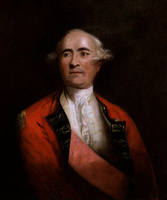 In 1790 Sir John Johnson* recommended him for the executive council of the proposed province of Upper Canada. 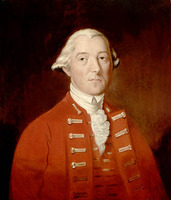 Two years later, at Lieutenant Governor Simcoe’s request, Grant, “at once to be stamped with eminence and respectability of his professional situation,” was one of the five councillors appointed that year. Along with the other two executive councillors from Detroit, James Baby* and William Robertson, he was also named to the Legislative Council. Although, as Administrator Peter Russell later reported, distance and official duties often kept Grant from attending meetings of the councils, the very fact of the appointments testified to his stature in the province. Grant also collected a host of regional offices. 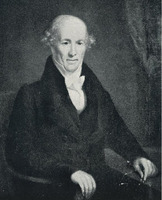 He was named to the first Heir and Devisee Commission for the Western District on 30 June 1798 and received his last appointment on 9 March 1812. 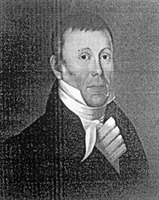 In January 1799 Grant, Baby, and Thomas McKee were collectively entrusted with the office of deputy superintendent general of Indian affairs upon the death of Alexander McKee*. Two months later the temporary commission was withdrawn when William Claus* acceded to the post. Alexander McKee’s demise brought Grant another reward, the appointment as lieutenant of the county of Essex on 23 Aug. 1799. The greater part of Grant’s time and energy was devoted to the marine, an important concern for it gave the British control of the lakes and secured the supply of the western posts. Although aware of this fact, historians have stressed the marine’s inadequacies, particularly the incompetence of some personnel and the decrepitude of the ships. In testimony given before the Legislative Council of Quebec in 1788, Robertson complained that with one exception “the king’s Vessels . 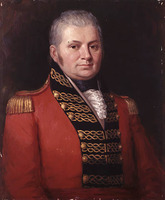 . . are mostly unfit for Service without a thorough repair.” Simcoe recognized the problem and how necessary it would be to increase and upgrade the marine forces in the event of hostilities with the United States, but nothing was done. He claimed that Grant was “fully competent to his technical trust and worthy of confidence.” Yet it is clear that the commodore was not without his faults. He lacked, for example, initiative in professional matters. When in 1794 Simcoe was concerned about a chronic shortage of men in the marine, Grant replied with blithe reassurances which simply ignored the seriousness of the situation. The matter was finally resolved only by the intervention of the commandant of Detroit, Richard G. England. Grant’s difficulties with the marine accounts recurred again and again. On 14 Oct. 1797 he was reprimanded for making expenditures without proper authority; in June 1801 Lieutenant Governor Peter Hunter expressed his concern that considerable sums had been expended on ship repairs without prior submission of estimates. Whatever may be said about Thorpe’s analysis, it was true that Grant continued in the Hunter line. Grant had been uneasy after assuming office but, “with the assistance of two very honourable men perfectly know’n the intention and secrets of our worthy late Lieut Governor, regarding the business of this province,” he quickly acquired a measure of equanimity. McGill and Thomas Scott*, among Hunter’s main lieutenants, became the chief courtiers of Grant’s administration. On Grant’s behalf, however, it may be said that there was a certain amount of reasonableness to his chosen course. 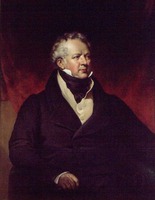 Privately he explained to Lord Castlereagh that he did not “feel myself at Liberty, in my Temporary situation to discontinue what he [Hunter] had authorized.” As to the role of Scott and McGill, their influence derived from their abilities and familiarity with executive government under Hunter. Grant was his own man and on occasion deviated from his predecessor. But his immediate concern was continuity and he had few office holders to pick from as advisers. Shaw left his farm for meetings of council only. Russell felt aggrieved and besides he had not been in Hunter’s circle. Judge William Dummer Powell* might have been a possibility, but he too had been an outsider under Hunter. At York, Grant lived with William Allan*, a local merchant, rather than stay at the official residence. The initial anxiety to do well soon passed and he became “perfectly easy in my mind, which I was not at first. . . .” It seemed that his personal contentment reflected the state of provincial society: “All seems to be satisfied, with matters gone on queitly.” This apparent quietude in the body politic was not long lasting. On 4 Feb. 1806 Grant opened the legislature. Several weeks later he reported that the “house of Commons do’s nothing but vomiting grievance and Complaints Against the Administration of General Hunter and plaguing me, and his favoureds.” He pointed to Thorpe and William Weekes as the “fomenters of all the disorder amongest the Commons.” In private correspondence Thorpe complained that the “expence of the useless Marine . . . is enormous . . . the President [Grant] is now building a Ship for his son in law that will cost three thousand pounds.” Grant had, in fact, ordered the construction of a new provincial yacht at Amherstburg but whether for the purpose suggested by his critic is not known. Grant’s only major departure from Hunter’s administration was one of style, not policy. As he put it, “Tho my late good worthy predesessor was Sensible & Clever, he latterly dealt very harse with most of the people that had any business with him.” Grant’s manner was conciliatory. In October 1805 he had written the Colonial secretary, the Earl of Camden, that the bill for granting land to aliens stood little chance of passing “from almost the universal prejudice . . . against Aliens of every description becoming settlers.” When the bill was overwhelmingly defeated in the house, Grant sensibly let it lie. Led by Weekes, the assembly urged executive action against some of Hunter’s more contentious reforms, such as the restrictions on loyalist and military land claimants and the revised table of fees for land grants. On the latter issue, Grant held firm, but with the former he promised to investigate and, in the end, issued proclamations restoring the lost privileges. One particular item stands out in the business of the legislative session. Weekes’s committee on public accounts asserted that £617 13s. 7d. had been spent by Hunter without prior authorization by the assembly. He had, in fact, carried on this practice since 1803 without arousing complaint. Citing Hunter’s action as a violation of its “first and most constitutional privilege,” the house urged that the money be restored to the provincial treasury. When it brought the matter to his attention, Grant reported that he could find no authority for such an appropriation by the governor and had the funds restored. Grant did nothing to exacerbate political ill feeling and he did, in a brief period, a good deal to remove some of its sources. After the legislature was prorogued, he missed the excitement of the political arena. He urged one correspondent to send “Something to Enliven us it’s cursed dull since the sessions is over.” Indeed, it was so dull that he decided to take a trip to Niagara (Niagara-on-the-Lake) and Queenston for a few days. The remaining months of his administration proved relatively quiet; he was succeeded on 25 Aug. 1806 by the new lieutenant governor, Francis Gore*. Although he was still one of the targets of Weekes’s railing at the fall assizes at Niagara in 1806, old age was taking its toll and his participation in public affairs was rapidly declining. In 1807 Gore, apparently acting on the assumption that Grant wished to be relieved, appointed François Baby* to succeed him as county lieutenant. The old man was gracious and thanked the lieutenant governor for his consideration “in easing me from the great Fatigues and trouble attendant on the situation.” When he found out that he had acted in error, Gore issued. a new commission for Grant on 17 December. Grant remained good-natured about the affair and wrote that, “Mrs Grant was so glad at my being Superseded . . . I suppose she will be displeased now.” He rarely attended council, pleading by way of explanation “my advanced age – and infirmities.” In January 1812 a report on the state of the marine by Captain Andrew Gray bluntly recommended that Grant be superannuated on the grounds that “he cannot be of any service; but may possibly do harm, by standing in the way of others.” He retired on 30 March of that year and was replaced by George Benson Hall*. While Grant was administrator Askin wrote him: “I think you would rather be with them [his family] than siting in state. Your not one of those men who prefers honors to Family comforts.” At the centre of Grant’s world were his wife and children, and their farm at Grosse Point. It was, in his words, “a very fine farm of excellent land with a good Mansion House & all other buildings – fine garden & a large orchard.” Except when required elsewhere on official business, he spent all his time there. Indeed, even after Detroit was transferred to the Americans in 1796 and naval headquarters moved to Amherstburg, he continued to reside on the farm. Its operation was superintended by his beloved wife, twenty-four years his junior. When they married she spoke no English and he no French. The predicament caused him to send to New York City for a dictionary but did not prove an obstacle to their relationship. They had 12 children and he clearly was in love with her all their life together. She was at “the helme” of the family and would never quit her post, causing Grant to comment that even his adopted son, John, “who is much interested and alert, cannot do any thing without consulting MrS Grant except kissing his Wife.” Grant, when he was away, urged close friends such as Askin to try to get her away from the farm for a few days but apparently their efforts were rarely successful. Late in 1805 Grant was so relieved by Askin’s account of an improvement in her health “that I feel myself growing quite hearty and well danced fifteen couple down the other night.” He was equally glad to hear that Askin planned to invite her to his house for a visit “as you and her talks now and then la la la, which makes the old lady shake her sides.” After her death on 11 Nov. 1810, Grant wrote his brother that she was “as good a mother and as kind a wife [as] perhaps ever was.” Grant himself died at his residence in 1813 and was buried at Sandwich (Windsor), Upper Canada. AO, ms 75; ms 497, Alexander Grant, draft of memorial, 17 June 1786; copy of letter, Grant to Alpine Grant, 15 July 1811. BL, Add. mss 21735/2: f.555; 21783: f.405; 21876: ff.135–37. Clements Library, Thomas Gage papers, American ser., 44: Alexander Grant to Gage, 11 Oct. 1765; 59: Grant, report of vessels at Niagara, 16 Nov. 1766; 79: Grant to John Brown, 2 Aug. 1768; 84: bill of Henry White to Grant, 8 April 1769; 93: Grant to Gage, 21 July 1770; 119: Grant to White, with bill, 27 April 1774. PAC, MG 23, HI, 3, vo1.10: 20; RG 5, A1: 2668, 5183; RG 8, I (C ser. ), 722A: 36–37, 70, 94–95; 723: 8, 40, 42–43, 111, 115, 164; 725: 3, 13, 32, 36–37, 39–43, 62, 191; 726: 9, 24, 38, 41, 48, 73, 81, 116, 139, 215, 217; 727: 15, 22–23, 40; 728: 23, 36, 84–85; RG 68, General index, 1651–1841: ff.249–52, 287, 310, 325, 403, 406, 409, 412, 419, 422–23, 542, 630. PRO, CO 42/339: ff.163, 167–68; 42/340: ff.3, 5–6, 9, 17, 340; 42/342: ff.35, 43, 88, 108, 110, 146–48; WO 17/1489: ff.12, 15–16, 18–19, 23–32; WO 34/50: ff.35, 37, 50, 54, 61, 63, 83, 86–88, 140–41, 144–46, 196, 201, 207, 209, 216, 259; 34/64: 168, 220, 224; 34/65: 15, 40–41, 109, 111, 137, 166. QUA, Richard Cartwright papers, letterbook (transcript at AO).. ... “Board of land office, District of Hesse,” AO Report, 1905: 1–268. Corr. of Hon. Peter Russell (Cruikshank and Hunter). Corr. of Lieut. Governor Simcoe (Cruikshank). John Askin papers (Quaife). Johnson papers (Sullivan et al. ), 4: 540; 8: 105–6, 223–24; 10: 130–31. “Journals of Legislative Assembly of U. C., “ AO Report, 1911: 57–116. Knox, Hist. journal (Doughty), 2: 195–96; 3: 56–57, 61–64, 72, 74. Landmann, Adventures and recollections, 1: 10–12. Mich. Pioneer Coll., 11 (1887): 640–41, 647; 17 (1890): 604; 19 (1891): 32, 304–5, 312–13, 336, 343, 346, 366, 368, 431, 433, 436, 450, 492–93, 495, 502, 507, 520, 555–56, 559, 592–93, 601–2, 626, 644, 649, 653, 659, 664, 667; 20 (1892): 1–2, 5–6, 8, 88–89, 158, 237, 256–57, 307–8, 669–70; 23 (1893): 186, 264, 268–69, 342, 347, 353–54; 24 (1894): 6; 25 (1894): 25, 148, 151, 153, 191, 194–95, 201, 221–22, 229. “The north west trade,” PAC Report, 1888: 59–62. “Ordinances made for the province of Quebec by the governor and Council of the said province, from 1768 until 1791 . . . ,” PAC Report, 1914–15, app.C: 205–11. “Petitions for grants of land” (Cruikshank), OH, 24: 71–72; 26: 195–96. “Political state of U.C.,” PAC Report, 1892: 32–37, 40–41, 46–47. “The probated wills of persons prominent in the public affairs of early Upper Canada: second collection,” ed. A. F. Hunter, OH, 24 (1927): 383–85. Select British docs. of War of 1812 (Wood), 1: 248–58, 288–89. Town of York, 1793–1815 (Firth), 184, 259, 261, 263. Windsor border region (Lajeunesse), 65, 106, 158, 172, 176, 193, 210–12, 225. Wis., State Hist. Soc., Coll., 11 (1888): 185–200.. ... Upper Canada Gazette, 21 Sept. 1805, 17 May 1806. Armstrong, Handbook of Upper Canadian chronology, 13, 33, 141. G.B., WO, Army list, 1759: 131; 1763: 138; 1784: 282. Officers of British forces in Canada (Irving). C. R. Canedy, “An entrepreneurial history of the New York frontier, 1739–1776” (phd thesis, Case Western Reserve Univ., Cleveland, Ohio, 1967), 226, 231, 239–40, 243–44, 250, 337–47, 355. Craig, Upper Canada, 43, 58, 61. Creighton, Commercial empire of St. Lawrence, 71. E. A. Cruikshank, “The contest for the command of Lake Erie in 1812–13,” The defended border: Upper Canada and the War of 1812 . . . , ed. Morris Zaslow and W. B. Turner (Toronto, 1964), 84–85. G. A. Cuthbertson, Freshwater: a history and a narrative of the Great Lakes (Toronto, 1931), 120, 283. D. R. Farrell, “Detroit, 1783–1796: the last stages of the British fur trade in the old northwest” (phd thesis, Univ. of Western Ont., London, 1968), 94–95, 99, 110, 174, 244–46. Gates, Land policies of U.C., 59, 74–77, 324. J. M. Hitsman, Safeguarding Canada, 1763–1871 (Toronto, 1968), 57, 60–61. C. P. Stacey, “Another look at the battle of Lake Erie,” The defended border: Upper Canada and the War of 1812 . . . , 105–7. W. S. Wallace, The family compact: a chronicle of the rebellion in Upper Canada (Toronto, 1915), 4–5, 10–11. Wilson, “Enterprises of Robert Hamilton,” 60, 111–13, 141. W. A. B. Douglas, “The anatomy of naval incompetence: the Provincial Marine in defence of Upper Canada before 1813,” OH, 71 (1979): 3–25. R. H. Fleming, “Phyn, Ellice and Company of Schenectady,” Contributions to Canadian Economics (Toronto), 4 (1932): 13–16. “The king’s shipyard,” Burton Hist. Coll. Leaflet (Detroit), 2 (1923–24): 18–32. 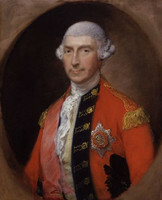 G. F. Macdonald, “Commodore Alexander Grant (1734–1813),” OH, 22 (1925): 167–81. M. M. Quaife, “Detroit biographies: Commodore Alexander Grant,” Burton Hist. Coll. Leaflet, 6 (1927–28): 65–80. In collaboration with Carol Whitfield, “GRANT, ALEXANDER,” in Dictionary of Canadian Biography, vol. 5, University of Toronto/Université Laval, 2003–, accessed April 24, 2019, http://www.biographi.ca/en/bio/grant_alexander_5E.html.